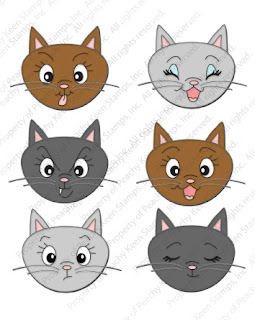 Hey all, did you know that Stampin' Up! is going to retire some of the best punches they have?! If you don't already have these punches, RUN don't walk over there and buy them now while you can! I use these punches in a lot of my punch art. I'm sad to think that I won't be able to use the following punches in my classes anymore! Again, if you don't have them, order them right NOW! You won't regret it! 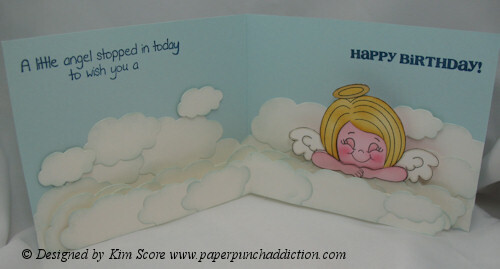 Mary, please email me at paperpunchaddiction@gmail.com to claim your prize. I'm officially living out of a cardboard box at this point. We are moving on Friday so I will be offline for a few days. If I have the time, I will check my emails. Please forgive me if you try to contact me and I don't respond right away. I'm going to change my comments to word verification so I can shut off the moderation. I will change my settings back some time next week. Thanks for your patience! 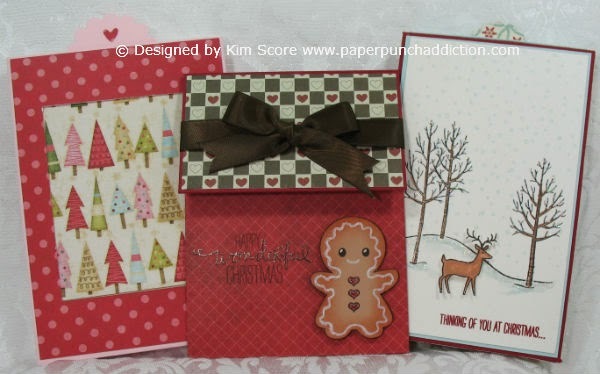 Charlene, please email me at paperpunchaddiction@gmail.com to claim your prize. Enjoy! 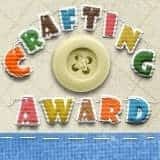 Do you love paper crafting and crochet? How would you like to combine them? Now you can with the new patent pending Sharp Crochet Hook. I was recently given the opportunity to try this fun little tool out. What makes this tool unique from the standard crochet hook is that the head of the hook is very sharp like a needle. This makes it easy to pierce fabric and paper. When working with paper, I highly recommend pre piercing a row of holes along the edge of your paper. This way, it will be easy to push the needle through the paper and you won't have to put any pressure on the card stock which could bend or wrinkle it. It's also important to use crochet thread. The head on the hook is very small, so using yarn (even low gauge) will be very difficult. I recommend a size 3 crochet thread. I picked up some beautiful bamboo thread today and I'm looking forward to making another of these with a different pattern of edging. 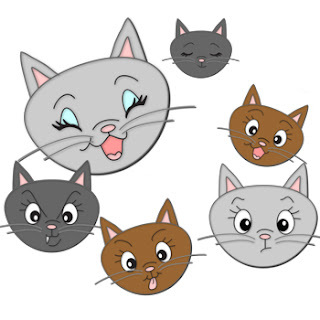 You can find some free border patterns at their blog HERE. Order the Sharp Crochet Hook HERE. Leave a comment for a chance to win your very own Sharp Crochet Hook, compliments of Jessica Taufer. 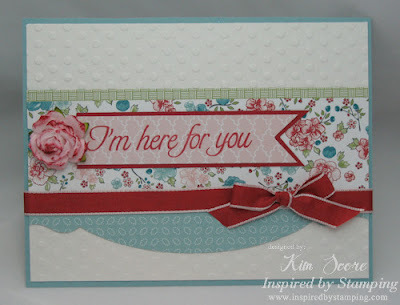 For my card, I used the gorgeous Inspired by Stamping stamp set called Butterfly Wings. 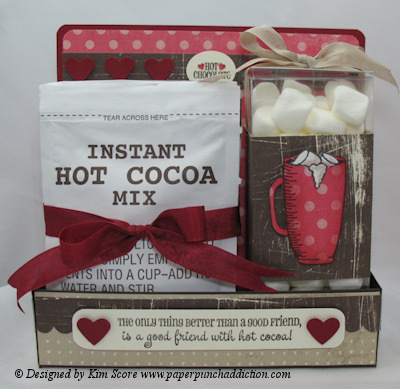 See instructions for making this card below.. 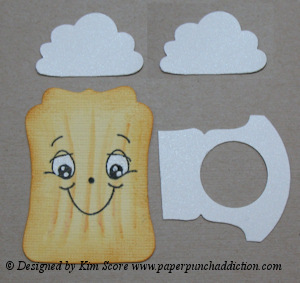 Glue the striped paper onto the crumb cake card stock, aligning the bottom edges. Use a piercing tool to pierce a line of holes 1/4" from bottom and 1/4" apart. Starting on one end, crochet base row along the bottom of the card. Do this by tying thread onto the hook in a loop. Put the crochet hook through the hole from the front, grab the thread and pull through to front, wrap thread around hook and pull thread through both loops on hook (single crochet). After single crocheting across the bottom, chain 3 and turn around. Working in the single crochet stitches along the bottom, 2 double crochet, chain 3 and 2 double crochet in next stitch. Continue to other end. Tie off ends and secure in back. Wrap crumb cake seam binding ribbon around piece and tie bow. Attach plaid strip. 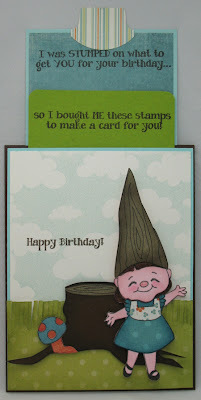 Attach piece to very vanilla card stock and then to base of card. Stamp greeting with crumb cake ink. Stamp butterflies on a scrap of very vanilla cardstock with soft suede ink. Apply single strokes of pink pirouette marker to butterflies. Apply a 2nd and 3rd stroke of ink to centers of wings to darken color. 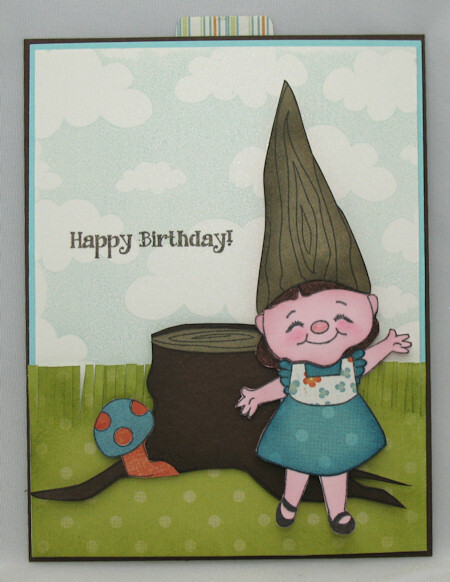 Cut out butterflies and mount to card with dimensionals. Bend wings of larger butterflies up a little to enhance dimension. You still have time to enter my drawing for a free membership to the April edition of Craft Project Central. Leave a comment on THIS POST. This week's Peachy Keen challenge is to use this combination of colors. I have to admit that I struggled with this color combo, but then I remembered that the papers in the "Just Add Cake" set fit the color scheme perfectly. Once again, I am using the super cute faces from the April Stamp of the Month kit. 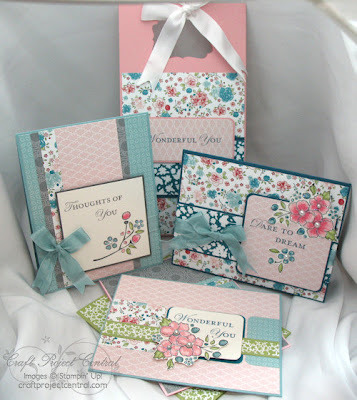 I just love all of the fantastic greetings and images in this set! 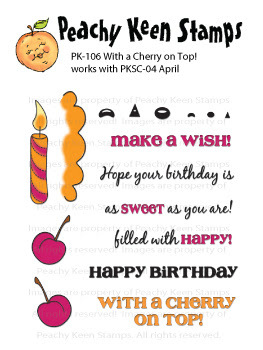 The fun greetings are from the PK-106 With a Cherry on Top! Check out all of the other fantastic projects that the design team cooked up at the challenge site. 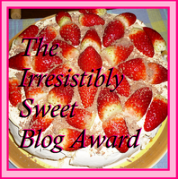 Join the challenge for a chance to win a fabulous prize! PK-106 With a Cherry on Top! 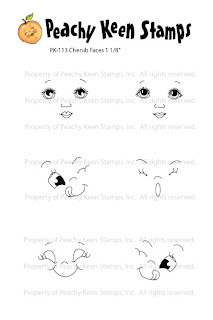 It's my feature day at the Peachy Keen challenge blog and I created this punch art beer mug with this cute face from the April 2012 Stamp of the Month set. 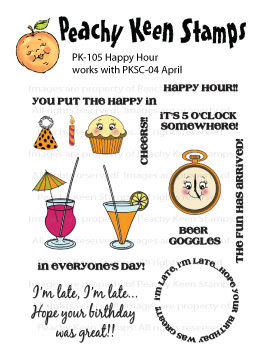 The fun greeting is from PK-105 Happy Hour. To add some extra fun to the card, I mounted the beer mug with an Action Wobble to make him dance. 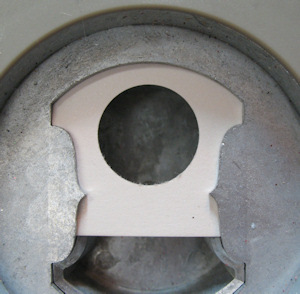 Punch a 3/4" Circle in white card stock. 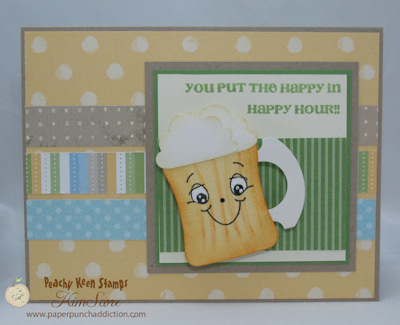 Line up the Round Tab punch over the punched circle to create the beer mug handle. Punch a Decorative Label out of So Saffron card stock. Trim the pointed edges and bottom of label off. Sponge edges with more mustard ink. Paint lines onto label with blender pen and more mustard ink. Stamp face with black ink. Color whites of eyes with uni-ball white gel pen. 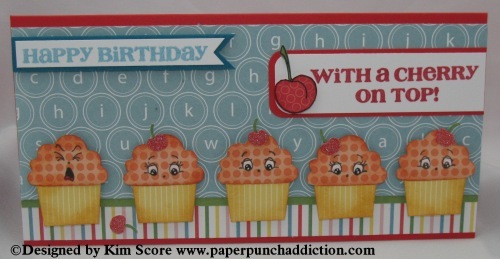 Punch two cupcake builder tops out of white card stock and lightly sponge edges with so saffron ink. Assemble card layers. Stamp greeting with wild wasabi ink. Glue mug pieces together and attach mug to card with action wobble. The newest edition of Papers & Pixels magazine comes out today. 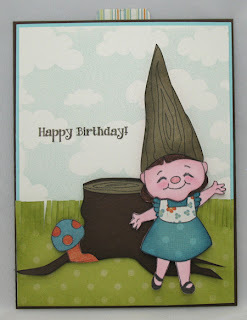 I did a double sliding card featuring the adorable gnome from the Peachy Keen March 2012 stamp of the month kit and the new Cloudy Day background stamp. When you pull the tab at the top, two messages appear. There are many more great tutorials in this issue. It only costs $1.50 per issue or $12 for the year. Subscribe HERE. 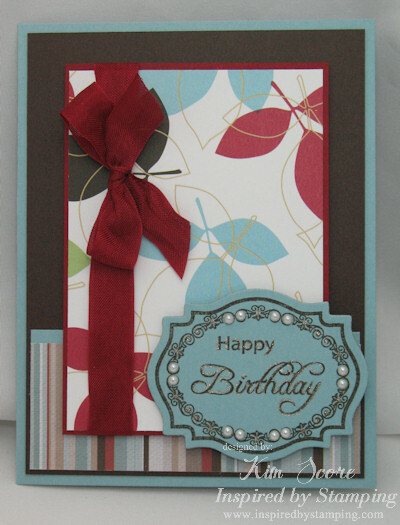 I used baja breeze, riding hood red and shimmery white card stocks. The shimmery white is embossed with a polkadot embossing folder. 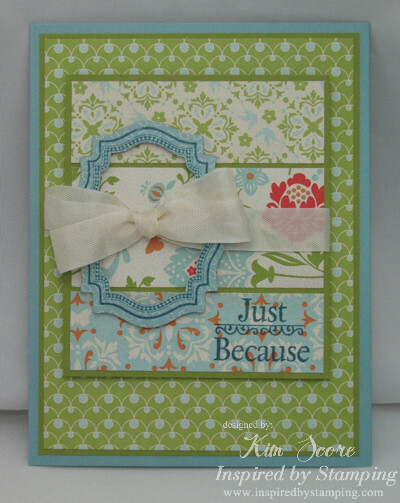 All of the prints are from the Twitterpated designer series papers. The ribbon is the riding hood red taffetta (retired). I used the Everyday Enchantment designer paper with pear pizzazz and baja breeze card stocks. The frame and greeting are stamped with Not Quite Navy ink. The ribbon is vanilla seam binding. 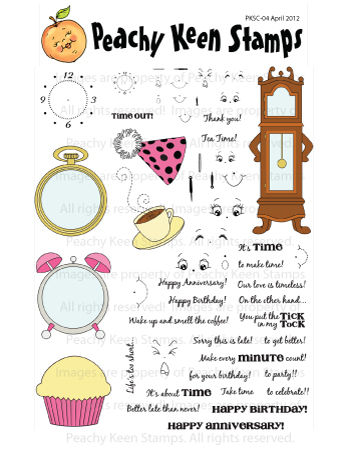 To create the frame, stamp and then cut out with the Nestabilities Label 18 (inside and outside of frame). Attach frame with dimensionals and thread a ribbon behind frame and out front to tie a bow. 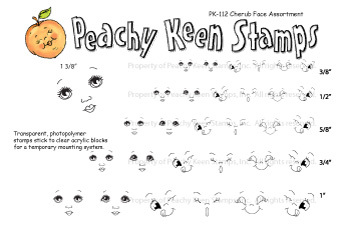 The new Peachy Keen stamps are coming! 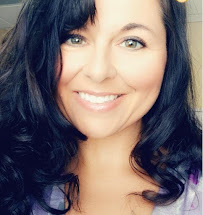 Check out my preview projects HERE. 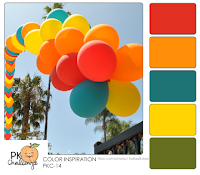 Did you see my project for InkSpirations 4U? Check it out HERE. 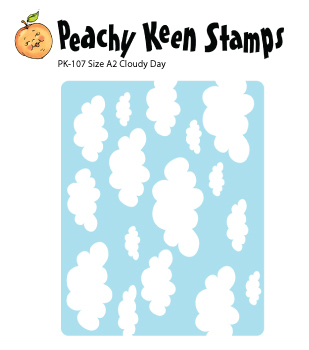 The new Peachy Keen April Stamps of the Month set and several other AWESOME stamp sets are coming out tomorrow. Today I'm showing you a sneak peek of 2 projects. I had so much fun with the SOTM set this month. These clocks are the cutest and the huge assortment of greetings is truly fabulous. 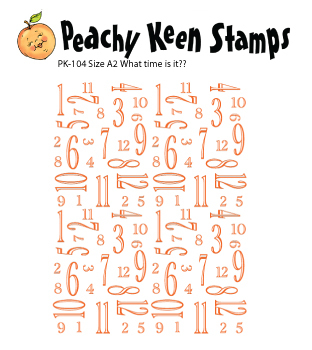 If you haven't joined the Peachy Keen SOTM club yet, what are you waiting for? Check out the details to join HERE. Join me tomorrow over at the Peachy Keen Community for the official release party. There will be games and prizes, challenges and the full reveal of the stamps and Peachy Picks paper kit. The party goes live at 6 PM central standard time on Thursday night. Come on over and join in the fun HERE. 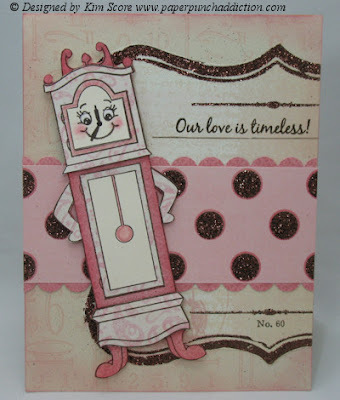 For these 2 projects, I used the new April 2012 Stamp of the Month stamp set. The greetings in this set are simply the best! You will definitely want this set! On the 2nd project I used the April 2012 Peachy Picks paper kit which includes coordinating cardstock, designer papers and embellishments. 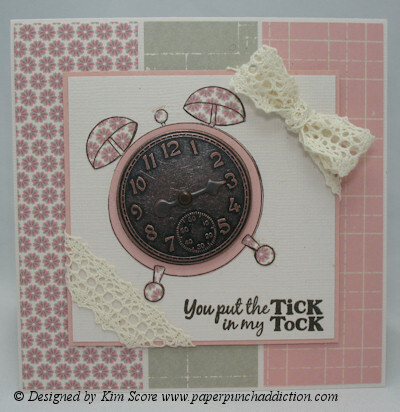 I loved the beautiful metal clock pieces and ribbons included in the kit. Hi all, the InkSpirations 4U! Celebrating U! edition has been sharing many fantastic projects this month. 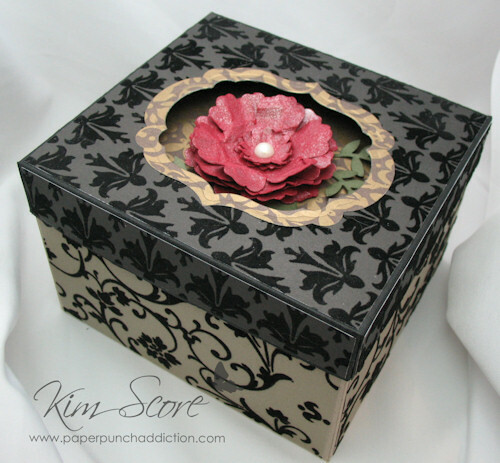 My project for this edition is a gift box with a recessed lid. It's so easy yet so impressively elegant! To join this edition and get my tutorial plus 20+ other tutorials, head over HERE to subscribe. Good morning everyone, sorry I haven't shared inspiration in the past couple days. I've been super busy working on project deadlines and haven't had any time to spare!